Russia has given shattered oil markets their first piece of good news. Moscow on Jan. 27 opened the door to talks with Saudi Arabia, Iran and the rest of OPEC for a possible grand bargain to lift the price of crude. Despite a global glut of the commodity, both sides may only have to give an inch on production to restore calm. Up until now, the big players have signalled that they would rather draw on financial reserves to see out the current spell of low oil prices than surrender market share to competitors. But as prices slide towards $20 per barrel, Moscow has decided that it would rather explore a compromise than risk economic catastrophe. Oil futures jumped 5 percent after top Russian oil official Nikolai Tokarev, head of oil pipeline monopoly Transneft, broke cover and revealed that the Kremlin may be willing to strike a deal with Saudi Arabia and the other OPEC members on oil output. OPEC producers, including the cartel’s kingpin Saudi Arabia, have also been feeling the pain acutely of lower oil prices and may be willing to finally give some ground. Although no firm date has been set for formal talks, bilateral discussions already have taken place with Qatar playing an active role, sources close to talks have told Breakingviews. But any deal would require Saudi to make the largest cuts to output in order to rub out the 1.5 million barrel per day oversupply that the International Energy Agency has warned for the first half of 2016. Riyadh is reluctant to budge much while regional rival Iran is free to raise output by 500,000 bpd. It may not have to: the rumoured nuclear option of lopping around 3 million bpd off combined production may not be necessary. Market participants reckon a much more modest cut to OPEC group output in coordination with Russia would be enough to change the bearish sentiment of oil traders. A small cut of between 500,000 bpd and 1 million barrels would be achievable without compromising each side’s share of the market. It also would end the dangerous game of Russian roulette they’re playing with oil. 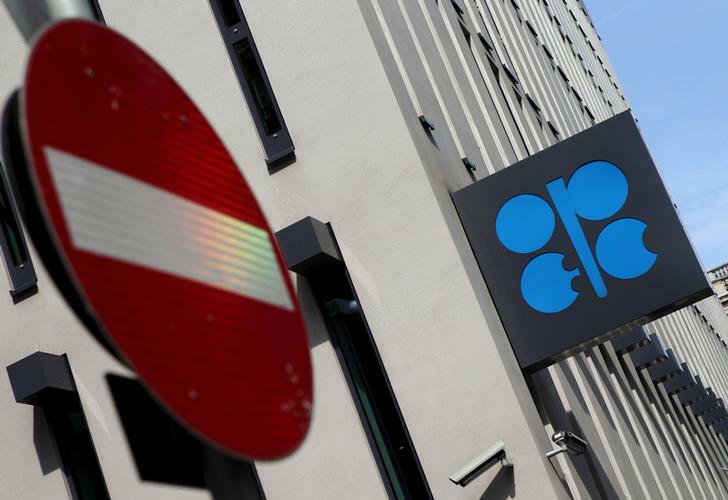 The logo of the Organization of the Petroleum Exporting Countries (OPEC) is pictured at its headquarters in Vienna, Austria, August 21, 2015. Russian officials on Jan. 27 opened the door to possible talks with the Organization of the Petroleum Exporting Countries about coordinated cuts to oil production. Nikolai Tokarev, head of oil pipeline monopoly Transneft, said on Jan. 27 that Russian oil officials and company executives had agreed they should explore talks with the cartel that pumps about a third of the world’s oil. Tokarev’s remarks follow a fraught start to 2016 for oil markets. Brent crude futures touched a low of $27.10 per barrel on Jan. 20, down 28 percent since the beginning of the year largely due to concerns over oversupply and the lifting of economic sanctions on Iran. The benchmark recovered to trade above $33 per barrel on Jan. 28, buoyed by the possibility of a deal between Russia and OPEC.